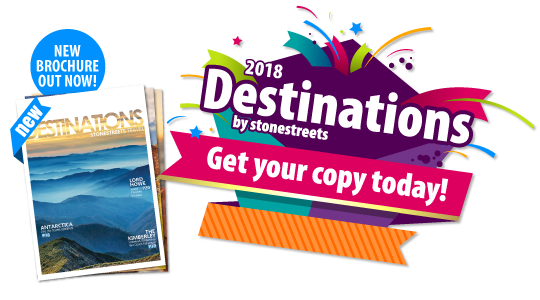 Destinations 2018 is our biggest and brightest brochure yet! Packed full of our most unique and diverse collection of tours to date, featuring short escapes, outback odyssey, coastal capers, grand city visits, international adventures, cruise and coach holidays and remembrance battlefields tours. Download your copy of Destinations 2018 today by clicking the image.